Refreshing the visitor experience and planning for future growth. 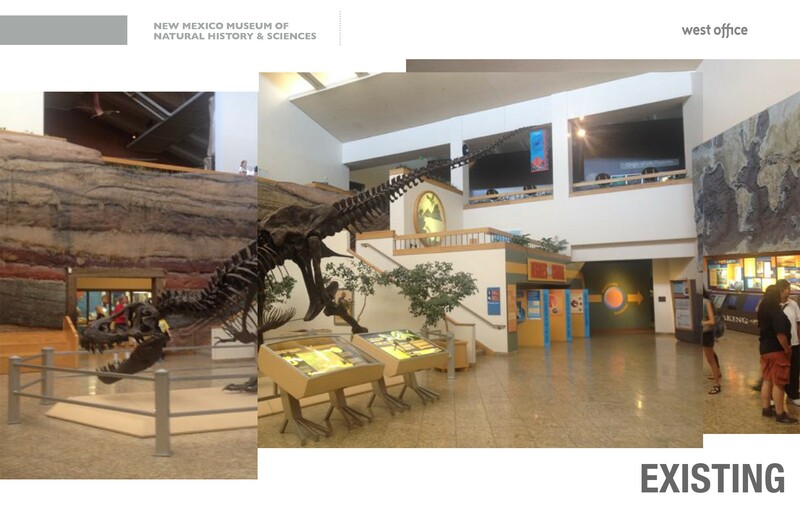 When NMNHS first opened 30 years ago, it marked a great day in New Mexico’s campaign to retain and interpret the state’s natural history. 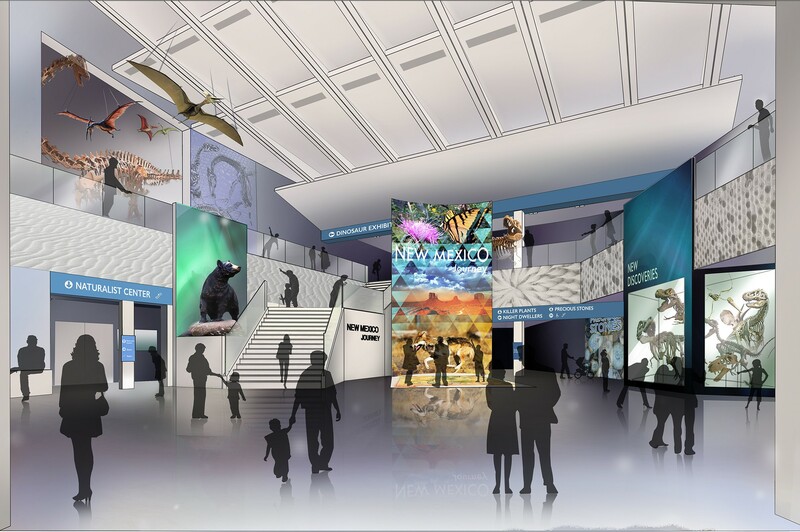 The new museum included a lengthy exhibit timeline of prehistoric life and a planetarium that revealed the worlds beyond ours. Over time, the museum grew in size with the inclusion of the DynaTheater and education wing, and the addition of “Science” to their name. With all these changes, the museum is now reassessing its future—What are its strengths? Its weakness? 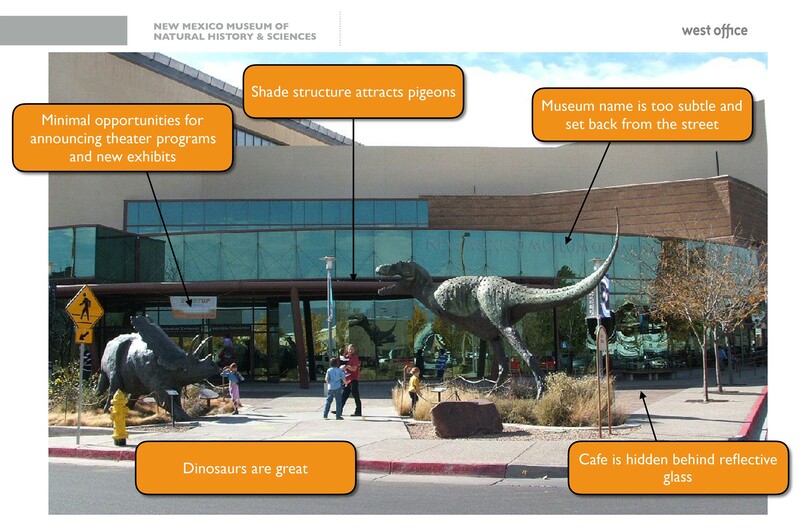 What are its opportunities to be an integral part of the New Mexico’s educational and experiential landscape? 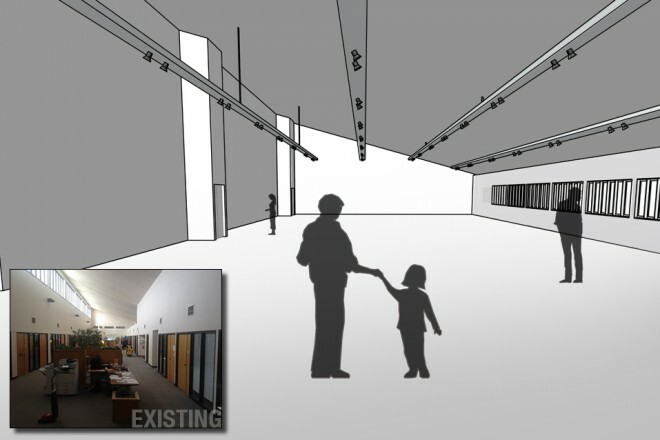 To this end, West Office worked closely with the museum’s senior leadership in this evaluation, conducting an extensive review of the existing museum spaces and interviewing museum staff and key stakeholders. 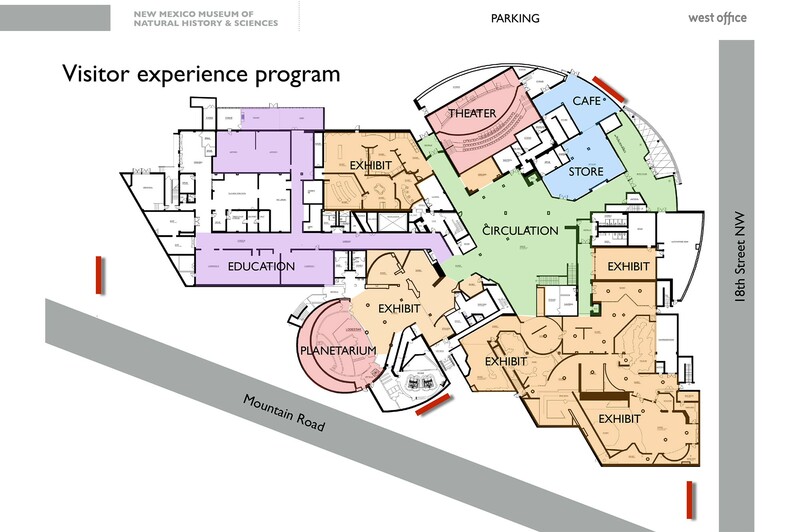 All aspects of the visitor experience were considered, from ticketing to temporary galleries to after-hour events. It culminated in West Office recommending that the museum focus its efforts on eight areas. Included were changes to the museum’s branding, restructuring the lobby and ticketing flow, an improved temporary gallery space, and suggestions for making the museum a uniquely New Mexico experience.